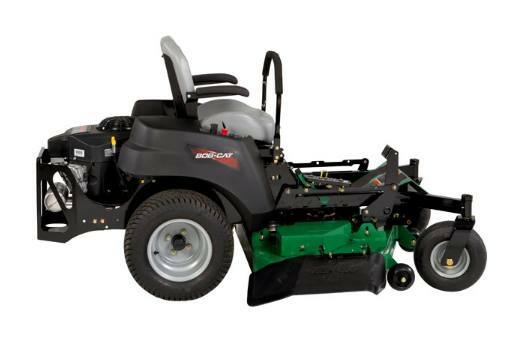 One of the best residential zero-turn mowers available, the BOB-CAT® CRZ™ offers higher quality commercial-grade features and components than other brands in the same price range. 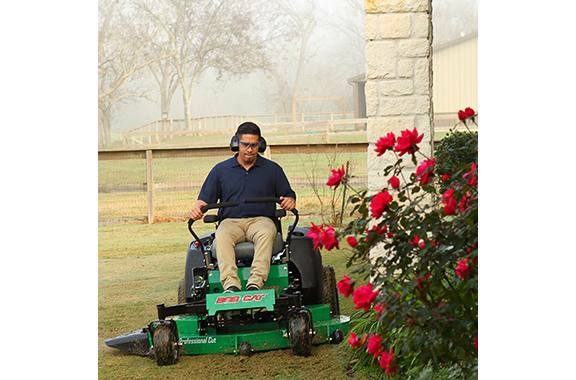 Designed for the homeowner, the BOB-CAT® CRZ™ residential zero-turn mowers provide legendary BOB-CAT® durability, cut quality and ease of ownership with the performance to make it one of the best zero-turn residential mowers around. From the commercial-grade Kawasaki® FR engines to rugged TufDeck™ 10 gauge fabricated, welded and reinforced steel decks with the patented Double-Wave™ Baffle System, the BOB-CAT® CRZ™ may just be the very last residential zero-turn mower you'll ever need to buy. Comfort & Control: Designed with your comfort in mind, the new BOB-CAT® CRZ™ residential zero-turn mower features an adjustable high-back seat for improved comfort as you ride. 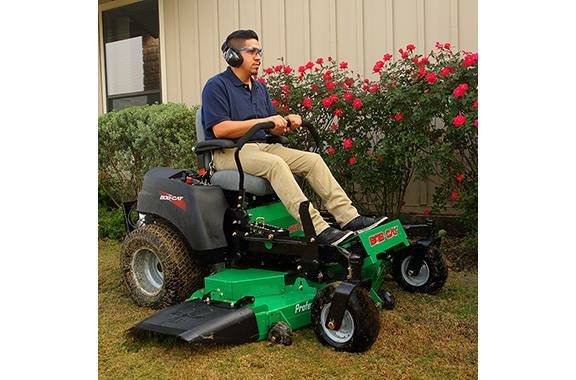 Adjustable drive levers ensure a comfortable fit for all family members and ergonomically designed controls provide maximum comfort while you mow. Cutting height is easily controlled through the commercial-grade Quick-Lift Foot pedal allowing for cutting ranges from 1.5 to 4.875 inches in quarter-inch increments. A Quality Cut Every Time with TufDeck™: The rugged fabricated Deck design of the new BOB-CAT® TufDeck™ commercial-grade mower with patented Double-Wave™ Baffle System makes grass stand up and take what's coming to it from blades that spin up to 18,000 fpm. The commercial-grade extra-wide polymer impact resistant discharge chute shrugs off dings while evenly dispersing clippings - eliminating clumps for a crisp clean cut. 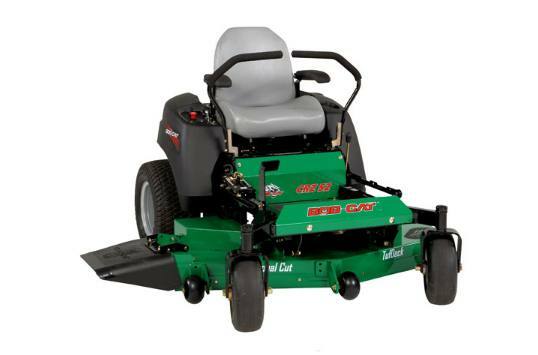 Choice of 42-, 48-, 52- or 61-inch zero-turn mower decks. Reduced Maintenance: The BOB-CAT® CRZ™ weight and open frame design provides easy access to the engine, filters, belts, battery and more – taking the hassle out of routine maintenance. 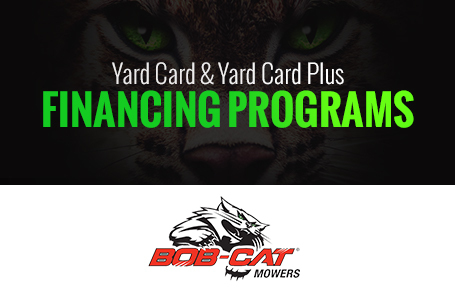 And, because all our mowers share common commercial-grade BOB-CAT® specs and designs, parts are readily available and affordable too. Peak Productivity: If you’re looking for the best residential zero-turn mower, the new BOB-CAT® CRZ™ residential zero-turn mower is powered by reliable Kawasaki® FR engines and feature 20" Zero-T drive wheels to produce a ground speed of up to 7 mph. Coupled with a large 6 gallon fuel capacity fuel tank, you have more than enough power and run time to tackle the largest properties. Deck Design: TufDeck™ 10 gauge fabricated, welded and reinforced steel. Patented Double-Wave™ Baffle System increases lift for a better cut. Operator zone adjusts easily for a comfortable ride and makes BOB-CAT® a perfect fit for any operator. The custom operator zone also provides maximum control with minimal effort. Adjustable high-back seat with spring support.